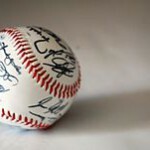 The main type of baseball product that you will find on the D&M website is autographed baseballs. Each signed item is authenticated through PSA/DNA, James Spence Authentication, Global Authentics, Upper Deck, or TriStar Authentic. As a buyer, this means that when you purchase a piece of memorabilia from D&M, the item will have a unique authentication hologram and will also come with a Certificate of Authentication. You will also find a couple other autographed items as well as a few items labeled as supplies, such as baseball display cases, on the site. It should be noted that there are links on the site for cards (trading cards) and a photo store but you get a “no products found” message when clicking on those links. 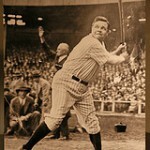 Babe Ruth 1932 Game Used Yankees Jersey – Purported to be the style of jersey worn during his famous “called shot” home run, the jersey has been appraised at $1.92 million. It is currently on sale for $979,999.99. Babe Ruth Autographed Baseballs – An official NL baseball priced at just under $18,000 and an AL baseball at a cost of $10,000. Jackie Robinson “Best Wishes” Autographed Baseball – Priced at $6,999, this ball includes Jackie’s signature along with the phrase “Best Wishes”. 1950s Legends Baseball – Signed by 12 players, now all legends in the sport. Autographs include Jimmie Foxx, Joe Dimaggio, Lefty Grove, and Charlie Gehringer. Purchase this for $5,795. 500 Home Run Club Baseball – This ball was signed by 11 of the 26 players who have hit at least 500 home runs in their career. The signatures include Mantle, Mays, Williams, Aaron, Schmidt, F. Robinson, Banks, Matthews, McCovey, Killebrew, and R. Jackson. It is priced at $1,195. There are also a good number of autographed baseballs at a lower price point, some as low as $39.95 for lesser-known players. To take a look, click here. Sandy Koufax & Don Drysdale Autographed Baseball – Signed by both of these Dodger greats, the ball sells for $699.99. Derek Jeter Autographed Baseball – 2014 is a special year for Jeter as players and fans throughout baseball honor this role model and baseball player. One of his signature balls sells for $499.99. Hank Aaron “755” Autographed Baseball – Celebrating his record-breaking home run, this ball is priced at $329.99. When purchasing through the website, you have the convenience of multiple payment options. These include using PayPal or Dwolla payment systems, a credit card, bitcoin, check, or money order. D&M offers a price match guarantee. If you find a better price for the same item anywhere else, D&M will match that price. Within the United States, free shipping is offered for orders greater than $100. Shipping typically takes between 1-5 days depending on the shipping distance and the method utilized. An Order Status link on the website allows you to track your item(s). You have up to 60 days to return a purchased item for a no-questions-asked, 100% refund if you are not completely satisfied. Store credit is provided if the item is returned after 60 days but within 90 days of purchase. The company also provides a lifetime authenticity guarantee. If the authenticity of a piece of memorabilia is ever in doubt, D&M will immediately issue a refund with no questions asked. Though there are not many customer reviews available on the internet, those that were found were all highly positive. Not a single criticism was leveled in any of the reviews. Most praised the integrity of the company, the quick and safe delivery of product, and the support features provided. Upon investigation, however, I discovered that the company’s entry into online retailing is relatively new and they are running a bit behind schedule on filling out the site. I will add that when I sent questions to their support link, the response was quick and cordial. In spite of the limited availability of product, the site had a good number of interesting items. In addition, the very strong positive reviews led me to believe that D&M is a good company to deal with.